Bonita Springs is a beautiful coastal city located in Lee County. This city dates back thousands of years, back to when the Native American Calusa Indians inhabited it. The Calusa Indians prospered in this area until 1513 when Ponce de Leon made contact with the Indians. Today, Bonita Springs is an affluent city full of thriving businesses, stunning homes, and many points of interest including beaches, parks, and historical gardens including the Everglades Wonder Gardens. Considering the past and the location of Bonita Springs, many buildings and homes around the area maintain a classic, coastal appearance, though there is a variety of architecture in the area. 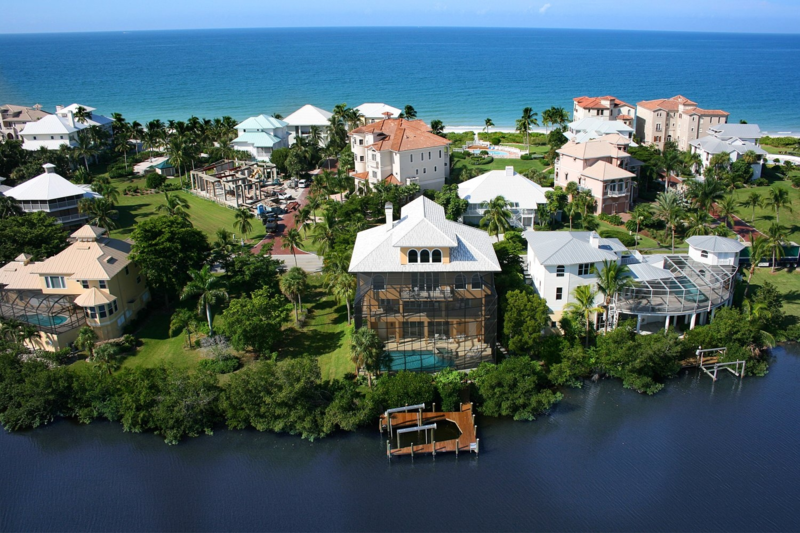 Bonita Bay is a nature-based gated community made up of 56 neighborhoods. The community was built around the beautiful nature as to not impact the environment for the interesting wildlife. This is an active lifestyle community, with many trails for biking and walking build throughout the neighborhoods. The architecture varies in this community, from simple, contemporary single-family homes to luxury, high-rise beach homes. Barefoot Beach is a semi-private gated community, home to the highly-rated Barefoot Beach Preserve County Park. Barefoot Beach is actually located in the small portion of Bonita Springs that lies within Collier County. This community features coastal contemporary villas and condos, but also lavish million-dollar modern homes, all of which have views and access to the beach. VillageWalk of Bonita Springs is a master-planned lakefront community, complete with a town center including, a pool, tennis court, salon, bank, gas station, and post office plus more. This community offers modern-style single-family homes, villas, and town homes. The palm trees and bright colors give this community a relaxing resort feeling. This Southwest Florida city has everything to offer for its residents, from calm and modern lakefront homes, to active and contemporary communities, to breathtaking coastal high-rise residences. Bow Echo Construction is happy to create the home of your dreams, however you’d like it to feel.